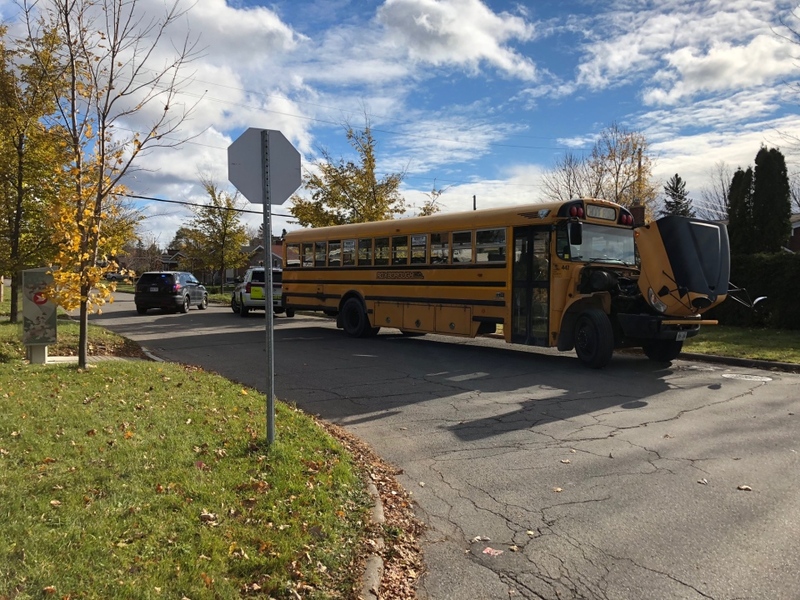 Ottawa's French catholic school board says it appears an issue with the brakes aboard a school bus outside Lamoureux elementary school is most likely responsible for 15 kids being sent to CHEO Thursday morning. 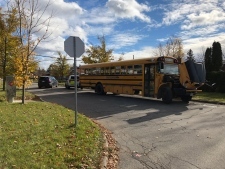 Ottawa Paramedics say the children were nauseous, coughing and vomiting on the bus. Paramedics stress the children are all in stable condition and were taken to CHEO for monitoring. The kids taken to the hospital are between 6 and 12 years old. 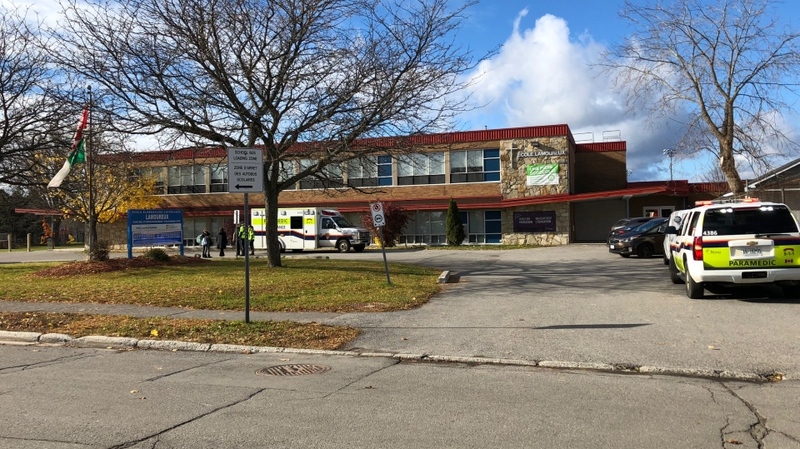 The conseils des écoles catholiques du Centre-Est says in a statement the parents of all affected children have been contacted. The kids who were not sent to hospital have resumed their school day as normal, but school staff will continue to keep an eye on them. Ottawa Fire PIO Danielle Cardinal tells CTV News hazmat crews searched the bus, but didn't find any trace of any noxious substances. "They did board the bus with air monitoring equipment," Cardinal said. "The technicians did confirm there was nothing significant on the bus or remaining on the bus so they were able to release the scene. They didn't have to escalate it to have area homes evacuated." The school board says the smell from overheated brakes is the likely reason the kids got sick. Ottawa parent Doris Fuentes had three daughters on the bus. She received a call that morning from her oldest daughter. "I said to her go tell the bus driver," said Fuentes. "She said, we did, and she's continuing to take us to school." "I noticed there a strong odor and ten minutes later there kids puking and crying," said 11-year-old Alizee Fuentes. "I tried not to cry to keep them calm." Fuentes' youngest daughter Elena needed medical attention. 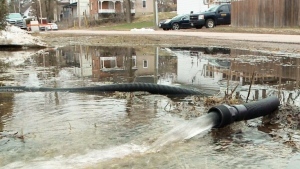 "It was smelling like gas and we didn't know what to do," said the 7-year-old. "I was so scared." Ottawa Fire Spokesperson Danielle Cardinal says the quick evacuation kept the situation from escalating. "The children evacuated from the back of the bus and did so in a very orderly fashion," said Cardinal. "They did the best that they could in the situation that was happening." "Upon completeing an inspection of the bus, it's been determined the brakes were functioning correctly and the odor was a result of the recent installation of new brakes," said General Manager of Roxborough Bus Lines Nick McRae in a company statement. "The odor is common after new brakes are installed and dissipates once the bus has been driven for a few days." But parents still have concerns. "We just have questions on what happened," said Fuentes. "What caused the incident and how it was handled." 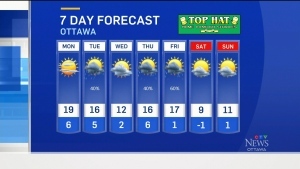 Ottawa Police had closed Kaladar Ave. from Brookfield Rd. E. to Dartmouth Ave. for the hazmat investigation, but have since cleared the scene. With files from CTV's Christina Succi.